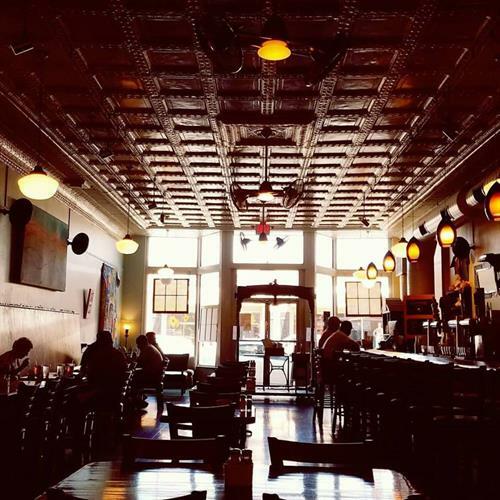 Located in Historic downtown Orange, Virginia, The Light Well serves lunch, dinner, and brunch in a casual atmosphere. The Light Well offers the finest selection of locally- roasted coffee from Orange Roasters, over 40 choices of beer, and a seasonally-updated wine list including the best local Virginia wines. Willow Spring Beer IS Orange! Owned by and located in the back room of The Light Well restaurant, (110 E Main St Orange VA, www.thelightwell.com ), Willow Spring Brewery is now in operation. Brewer Dave Ganoe, also the chef of the Light Well, is currently offering 4 original recipes. The flagship brew, The Fat Nancy, an American Style pale ale, commemorates an 1888 train wreck which occurred just west of Orange. A wooden trestle collapsed and several passengers were lost. “Nancy” was the trestle watcher and sadly not at home the day of the crash. Second is the Mad Jimmy – named after Orange County’s favorite son, President James Madison. Brew Master Ganoe carefully crafts every batch of this double IPA. Hoppy up-front flavors, with an extremely smooth finish, is the trademark of this lovely “bitter”. Great with food or as a way to unwind at the end of a long day!